In 2019 MCU entered Erasmus+ Agreement with University of Silesia in Katowice, Poland, which enabled to invite Professor Katarzyna Kwapisz-Osadnik, Doctor of Philology, lecturer of the Institute of Romance Languages and Translation Studies, at the MCU’s Institute of Foreign Languages with a series of lectures and seminars in French. 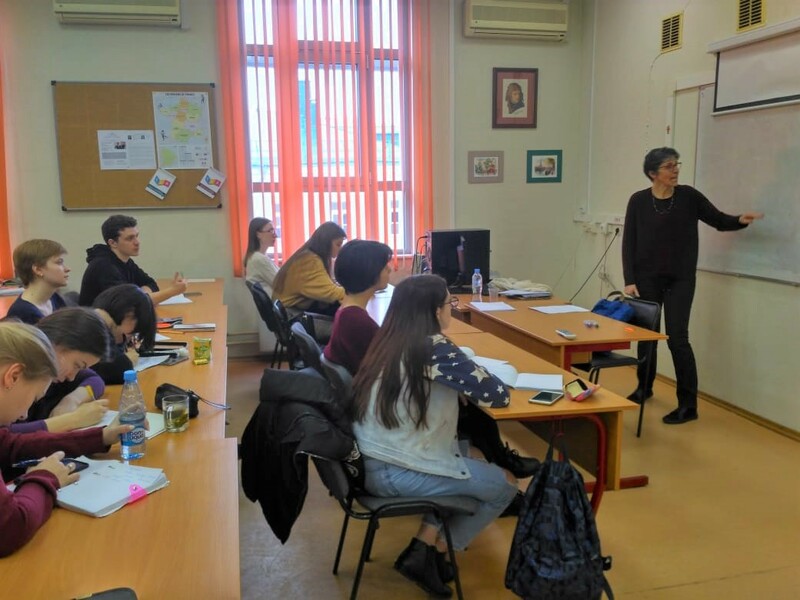 On March 6—7 both freshman and senior students were introduced to the principles of axiological linguistics, fundamentals of the theory of discourse, and psycholinguistics aspects of learning foreign languages. The seminar was dedicated to the usage of the French verb fair, as well as discussion of leisure activities. Professor Kwapisz-Osadnik also met with MCU teachers and colleagues from the International Relations Department to discuss the perspectives of research and academic cooperation. The visit comprised a sightseeing tour around Moscow arranged by the students and teachers of the Department of French Language and Language Education.